Builders in Mongomo are working around the clock to finish one of the four stadiums which are due to host the 2015 Africa Cup of Nations in just over a month. Mongomo, the hometown of Equatorial Guinea’s President Teodoro Obiang (pictured), along with Ebebeyin, Bata and Malabo are set to host the finals. The tournament is set to kick off on January 17 in Bata with the first match in Mongomo set for two days later as Ghana play Senegal. Equatorial Guinea agreed to organise the tournament last month at the request of the Confederation of African Football (Caf). However work needs to be done on the grounds in both Ebebeyin and Mongomo. “The turf for Mongomo and Ebebeyin stadiums is going to be brought by plane from Europe,” one of the supervisors told the BBC. “Time is a big challenge but the good thing is that it’s not new for us to work against time,” said Francisca Obiang Jimenez, the president of the Office of National Projects, who was there supervising the works. “We have built almost an entire city, Sipopo, in about two years and we’ve also built a highway. While the stadiums look set to be ready in time, having enough accommodation could be a challenge for the organisers in both Mongomo and Ebebeyin. Ebebeyin has only one large hotel of international standards. “We have hotels and we have also some social houses that we’ve finished building and have not given to anybody yet,” Ms Obiang Jimenez told us. The government and organisers are also taking measures against the possibility of the deadly Ebola virus getting into the country. All passengers arriving at Malabo airport from abroad are having their temperature checked. There was also an Ebola screening exercise at Bata stadium, before a match of the CEMAC (Economic Community of Central African States) Cup, which is currently being staged in Equatorial Guinea. “During the Cup of Nations, there will be other controls and this kind of protection will be happening further away from the stadium,” a local fan, Juan Esono, told us. President Abdel Fattah Al-Sisi met with the President of the Republic of Equatorial Guinea, Teodoro Obiang Nguema, on Wednesday to discuss bilateral relations between the two countries. The leaders discussed, in particular, economic cooperation. Al-Sisi praised Equatorial Guinea’s economic development, and pointed to the promising investment opportunities between the two countries. Al-Sisi emphasised the importance of expanding mutual cooperation to include many fields, reported state-owned Al-Ahram. Obiang requested that a number of Egyptian doctors be sent to Equatorial Guinea for the African Cup of Nations, which was immediately approved by Al-Sisi, Al-Ahram reported. The two presidents discussed the activity of Egyptian companies in the field of housing, construction and paving roads in Equatorial Guinea and strengthening such economic relations during the following joint commission between the two countries. During the meeting, Al-Sisi pointed to Egypt’s intention to run for the membership of the UN Security Council for the year 2016/2017. Obiang praised Egypt’s political and economic reforms, as well as its efforts to achieve development. Obiang also welcomed the restoration of Egypt’s leading position in Africa, pointing out that Egypt’s stability is the stability of the continent as a whole. Its role should complement its efforts to provide its needs, and that Egypt should cooperate with the countries of the South, and work to maximise the utilisation of natural resources. On the meeting’s agenda were issues of regional importance including eradication of terrorism and countering extremist ideas that exploit the conditions of poverty in the continent. The talks also saw the confirmation of the importance of joining the international community’s efforts to combat Ebola in the African continent, and to provide support for countries that suffer from it. The Egyptian president praised Equatorial Guinea’s support of Egypt in African forums, particularly the African Union. Al-Sisi invited Obiang to participate in the opening of the new Suez Canal Project, as well as to the economic conference which Egypt will host in March 2015. Obiang also extended an invitation to Al-Sisi to visit Equatorial Guinea in the context of the “distinguished friendly relations between the two countries, and to give more support and political momentum to bilateral relations at all levels”. 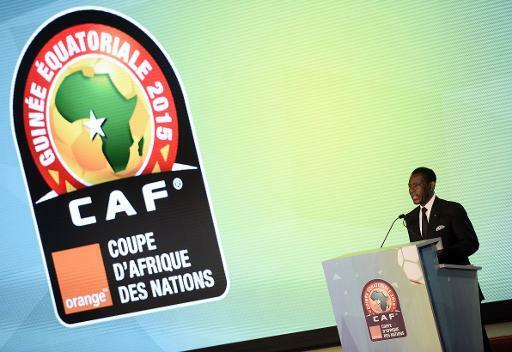 Should the Confederation of African Football have postponed the 2015 African Cup of Nations? 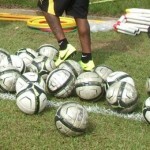 African football raises its fair share of challenges. Hosting a 16 nation tournament can be a difficult task for many African countries. Hosting a tournament in the midst of the biggest Ebola outbreak the world has seen is however, a challenge none have faced before. 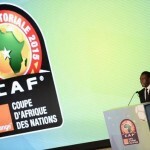 With the draw concluded on Wednesday night the headlines leading up to African Cup of Nations 2015 won’t simply surround the Group of death including Algeria, Ghana, Senegal and South Africa or defending champions Nigeria as well as Egypt’s failure to qualify; but rather focus on the Ebola health crisis. Since the Ebola virus first hit West Africa in the first quarter of 2014, the entire continent has been thrown into panic. Africa and indeed the entire world are now fully focused and determined on containing and beating the deadly epidemic. Three West-African nations, Guinea, Liberia and Sierra Leone have been the worst hit countries. The latest World Health Organisation (WHO) report dated 29 November 2014 stated that 6,928 people were known to have died from Ebola. More than 16,000 have been infected. Guinea, who has qualified for Afcon 2015, has lost almost 1,200 lives. Guinea were forced to play their home matches during the qualification campaign in Morocco who ironically were stripped of the hosting rights after calling for the tournament to be postponed. Equatorial Guinea, a small central African nation, has subsequently been selected as the host of the 2015 showpiece. Were Morocco’s deep concerns and ultimate stance reasonable? Has the Confederation of African Football (CAF) made the correct decision? These are a few of the questions many African football supporters and administrators will be asking in the build up to Afcon 2015. Football governance seems to have raised many ethical questions in the recent past. The FIFA World Cup 2018 and 2022 bidding process concerns have been well documented in recent months. Afcon 2015 is a different issue altogether, yet CAF are proving they too have little respect for ethical or humanitarian considerations. Morocco’s’ concern is fully justified. Many countries have imposed strict travel restrictions due to the virus. During a health crisis as severe as this where travelling across borders in the region of the affected areas is expected to be limited, the African Nations Cup will require and attract the exact opposite. In comparison to the Moroccan minister’s statement, it perhaps comes as little surprise CAF’s concern surrounds finances. “The financial damage and the consequences for Caf and its marketing partners would be too severe to call it off,” Caf executive committee member Constant Omari told French radio on November 10. The important question therefore becomes; How prepared is Equatorial Guinea to host this tournament and deal with the risks resulting from Ebola? Before we even evaluate this it must be highlighted that Equatorial Guinea was expelled from the tournament during the qualification process for fielding an ineligible player. This makes the decision to award them the hosting rights all the more questionable. Equatorial Guinea is an oil rich nation however about three quarters of the population live below the poverty line according to the IMF. A large percentage of the population also have no access to clean drinking water according to the United Nations. The country co-hosted Afcon 2012 with Gabon and it is difficult to argue that the lives of ordinary citizens have improved since then. As expected, oppositions to the President have expressed disdain and raised severe concerns with hosting this specific tournament. It is essential to note that Equatorial Guinea is in fact Ebola-free with no reported cases of the disease to date. Many outside Africa fail to realise the disease is predominantly constrained to the three West African nations Guinea, Liberia and Sierra Leone. However this is not where the risk lies. The fundamental issue will be the increased travelling as thousands of visitors flock from all over Africa and beyond to witness the 30th edition of the African Cup of Nations. Equatorial Guinea has been somewhat proactive in dealing with the Ebola virus since it first emerged. They have spent large sums of money and have received aid from the WHO to fight the virus. Furthermore they have recruited 50 Cuban doctors, and three isolation centres to house people suspected of having the disease will be set up before the Afcon tournament starts. According to International SOS, Equatorial Guinea are “denying entry to travellers whose journeys originated in countries affected by Ebola.” Will they relax this for Afcon 2015 or will they refuse entry to the many Guinean supporters who will want to follow their nation to the tournament? In August the government temporarily suspended the issuance of visas from neighbouring countries and cancelled regional flights by its national air carrier, Ceiba International, as preventative measures against Ebola. Worryingly On the 29th August, Senegal reported its first case of Ebola as a young man from Guinea had travelled to Senegal despite having been infected with the virus, officials said. What guarantee do the citizens of Equatorial Guinea and the thousands of travelling football fans have that this will not occur again? As we are aware, Guinea will be present at the tournament. The circumstances surrounding Afcon 2015 and the Ebola virus is a challenge far more important than football itself. There seems to be a strong case for the organisers to have postponed the tournament. Three African Nations have suffered despair and their economies crippled. The health of African citizens should be the top priority irrespective of any budgets, contracts or sponsors. The Afcon tournament historically is an ecstasy of colour, culture, dance and a showpiece for the best footballers the continent has to offer. All of Africa is hoping this will once more be the case during the 2015 tournament. Should the Ebola virus rear its head in Equatorial Guinea come January 2015, CAF’s credibility and reputation will likely also be infected with a strain very difficult to cure. Few would disagree that the Guinean national team had to overcome more than its fair share of obstacles in recent times. Most glaringly, the outbreak of the deadly Ebola virus forced the Syli Nationale to play their home games of the Africa Cup of Nations qualifiers at a neutral venue. But when the 16 best African teams gather early next year in Equatorial Guinea to contest the finals of the showpiece event of African football, Guinea will be amongst them, having been drawn into Group D along with the west African trio of Côte d’Ivoire, Mali and Cameroon. The achievement of qualifying is not the only good news for their football fans as the side has climbed in the FIFA/Coca-Cola World Ranking and the team is currently ranked 38th in the world – a position they last obtained in January 2009. In October of this year, Guinea’s chances of qualifying for the AFCON finals seemed remote. The team was at the bottom of Group E and needed to win their two remaining matches against Togo and Uganda. The Togolese were the first to feel how seriously the Guineans were of reaching the finals as Seydouba Soumah scored a hat-trick and the visitors won 4-1 in the Togolese capital of Lome. The final group game against Uganda, which was played in Morocco, was a winner-take-all affair, as both sides would be guaranteed a place at the finals with a victory. The Cranes though had a slight advantage as they had beaten Guinea at home in Kampala and thus would have qualified with a draw. Again it was Soumah who scored one of the goals as Guinea secured the all-important 2-0 victory. Dussuyer believes that their experience in overcoming all the obstacles to qualify for the finals will come in good stead in Equatorial Guinea. “We even had to play our home matches at a neutral venue. But we knew this from the start and realised that it would be more difficult to qualify. But I think it helped me bond the team together. In a certain way, we turned adversity into strength and we want to use this in Equatorial Guinea. Malabo (Equatorial Guinea) (AFP) – South Africa will have to do it the hard way if they are to add to their sole Africa Cup of Nations title after the draw for the 2015 finals was made in Malabo on Wednesday. Bafana Bafana — who won the trophy when they hosted it in 1996 but have experienced very little success since — were drawn in Group C along with perennial title contenders Ghana, Senegal and Algeria for the tournament that runs from January 17 to February 8 in Equatorial Guinea. Two of that trio Ghana and Algeria were in the World Cup finals this year with the latter reaching the second round for the first time in their history and the Desert Foxes took eventual champions Germany to extra-time in their last 16 clash. It will be quite a baptism of fire for Avram Grant the newly-appointed coach of Ghana — who have flattered to deceive on several occasions at the finals since they were crowned champions for the fourth time in 1982. Elsewhere hosts Equatorial Guinea — who stepped in when Morocco withdrew because of fears over the Ebola virus spreading there with fans coming from all over Africa — got a relatively kind draw. They will open the tournament with a game against Congo and will also face Gabon — with whom they co-hosted the 2012 finals — and 2013 beaten finalists Burkina Faso. The neutral supporter will probably be behind Guinea, who are the only country of the three most seriously affected by Ebola to have qualified, and who have been drawn in Group D.
The Guineans — who will be making their 11th appearance with their best showing reaching the final in 1976 — will have a tough task to reach the knockout stages having drawn both an ageing but still talented Ivory Coast and a revived Cameroon while Mali fill up the places. Zambia, who won an emotionally charged 2012 final in Libreville, Gabon, will fancy their chances of making a serious bid for the crown after drawing Democratic Republic of Congo, Cape Verde and Tunisia on Group B. The Zambians secured the continental showpiece just miles from the scene of the plane crash that killed 25 members of the national team in 1993. The AU and CAF share common Pan African values and are deeply aware that the common wellbeing and prosperity of the continent is paramount. Meeting with the AUC Chairperson in September in Addis Ababa, CAF Executive Committee, led by its President Issa Hayatou expressed its strong support to contribute to fighting against the Ebola Virus Disease. Harambee Starlets will jet out of the country today ahead of their Sunday’s clash against She Amavubi of Rwanda in the first leg of the preliminary round qualifiers of the Africa women’s Championships. Head coach Justine Omojong expressed confidence that the side can get decent result in Rwanda before coming for the return match in a fortnight. “We want to get an away goal in Rwanda and if we will, it will put us in a strong position to qualify,” added Omojong. The winner of the tie will proceed to the next round where they will face the winner between Nigeria and Sierra Leone. Kenya will be making her first appearance in the continental showpiece and are among 25 nations that will vie for seven available places in the finals. Defending champions, Equatorial Guinea, beaten finalists South Africa and third placed Cameroon have received first round byes and will join the qualifiers from the second phase following the draw conducted in Cairo, Egypt. Kenya failed to travel to Equatorial Guinea in August this year to face the hosts in the Ffa under-17 World Cup qualifiers citing poor communication from the West African nation. Team: Anneta Njoka, Vivian Akinyi, Rosemary Kadondi, Joyce Anyango, Doris Anyango, Julia Gathoni, Sylivia Wasilwa, Esther Nandika, Euphresia Khakasi, Ann Aluoch, Jacky Ogol, Martha Karimi, Mural Auma, Wendy Achieng’, Pauline Musungu, Agnes Mutio, Esse Mbeyu Akida, Neddy Atieno, Elizabeth Ambogo and Irene Momanyi. Ghana’s Under-20 female soccer team, the Black Princesses, are dreaming of a trip to Canada for their third successive Women’s World Cup. That dream could, however, be scuppered by Equatorial Guinea who they play in the final round of the qualifiers. Tomorrow, the Princesses, who have been busily preparing for this crucial hurdle, travel to Malabo to face Equatorial Guinea in the first leg of the final qualifying round tie on Saturday. Any result apart from a heavy defeat to Equatorial Guinea would enhance the Princesses’ chances of going to Canada for the WWC, and that is the mission Coach Bashir Hayford and his charges are embarking on as they storm Malabo. Of course, the Ghanaians know it will be an uncompromising encounter, considering how the Black Maidens painfully edged out the Equatorial Guineans from the Under-17 World Cup qualifiers just last November. After winning 2-0 in Accra, the Maidens, despite being forced to endure playing under floodlights without any prior notice won 3-2 in Malabo. It is that painful loss and the thought of losing again to another Ghana team that will push this encounter to uncompromising heights. Equatorial Guinea are the only side to have won the African Women’s Championship (AWC) aside Nigeria, but they have not been that convincing in the age tournaments and even though they will play with quite a number of foreign import, particularly from Portugal, it remains to be seen if they will get the win they desire. They have had the benefit of playing throughout the qualifiers, beating Cote d’Ivoire and Zambia respectively home and away in the first and second rounds. It will be a cagey one for the Princesses since this will be their first real test. 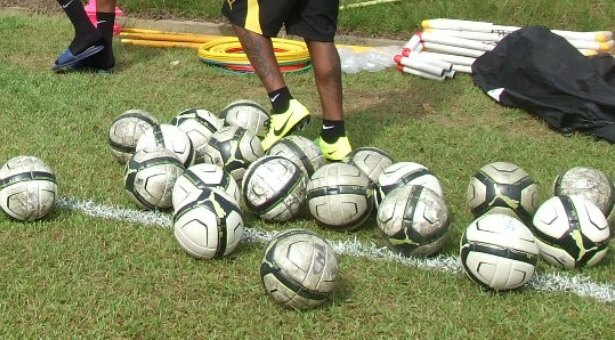 Both the team and their fans have been denied the chance to assess the battle-readiness of the team as their opponents in the earlier qualifying rounds, Guinea Bissau and Uganda both pulled out of the qualifiers, forcing the Princesses to play only trial matches with some selected local teams, the last one being against a select side from the Ashanti Region last weekend. Playing with two sets of teams, the first game ended 1-1, while the second ended goalless, with the Princesses wasting many begging chances. While it may be a tough call for the Ghanaians, Coach Hayford can count on the experience of his players to pull through and ease the pressure of playing the final leg before an expectant crowd in Accra two weeks later. The Inter Mediate Lions of Cameroon in the second match in the on going Cemac Cup competition, have defeated Equatorial Guinea by 2-1. This victory that comes barely 3 days after the humiliating defeat they suffered in their first match in the Competition against host Country Gabon. At the start of the match, it was a determined Lions squad that got into the match with all desire to grab the 3 oints of the day.The first 20 minutes of the match saw the Lions mounting so much presure on their opponents ,but unfortunately were not able to open scores.Their efforts paid off at the 30 minute of the match when Oyongo Bitolo recieved a golden pass from his team mate and did not waist any time to concretise their opportunity with a goal. It was 1 for cameroon and 0 for Equatorial guinea.Upon resumption for the second half of the match,the Equato guineans started showing signs of wanting to score,but each time they did so,they met a stive defence from Cameroon.But their efforts paid at the 70 minute when they scored from a corner kick poorly managed by the Cameroon defence.This goal was bitterly accepted by the Lions who mounted more presure and at the 78 minute of play scored their second goal of the match and the day.Its this goal that gave them an upper hand during the match .At the end of the day, it was 3 points that the Lions had grabbed and now puts theml on a confortable situation to sail to the next round of the competition. THE Zambia women soccer team has regrouped in Lusaka ahead of the Canada 2014 FIFA Under-20 World Cup second round return leg qualifier against Equatorial Guinea to be played in two weeks time. Coach Charles Bwale said the squad that started training at Nkoloma Stadium yesterday is fine tuning towards overturning the 2-0 defeat suffered at the hands of Equatorial Guinea at Sunset Stadium last weekend. Bwale said in an interview that morale in camp was high as players understand the huge task that lies ahead of them when the two sides clash in the return leg. He expressed happiness that defender Elina Nyirenda, who missed the match owing to a fractured wrist, has started training and that everyone was looking forward to a positive result to advance to the next round. “We are back in training and the team has gotten over the weekend defeat and focused at the job at hand. The players know we have to overturn the result for us to have a chance to qualifying to the next round and hopefully clinch a World Cup slot,” he said. Bwale said the players are currently enjoying a clean bill of health and called for hard work if the dream to qualify for the Canada finals was to remain a reality. Two quick first half goals by Olive Christelle in the 16th and 23rd minute handed Equatorial Guinea a comfortable lead heading into the return match set for two weeks. Should Zambia overcome Equatorial Guinea in the two-legged qualifiers, then an exciting encounter with Ghana, who advanced to the final stage after Uganda withdrew, will be played on January 10. Other teams fighting for the two slots available for African countries are Tanzania, who will play South Africa and Nigeria who are up against Tunisia.